Here is Maths Twist Question for Adults which will crack your brain. 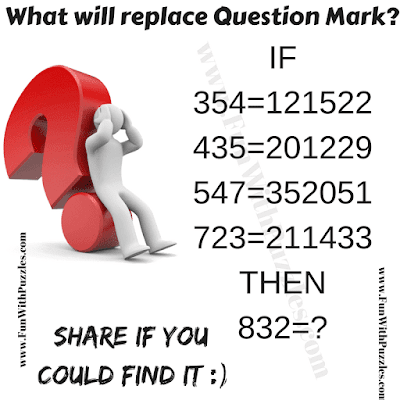 It is easier to find few digits of the answer. However it will be tough task to completely solve this Maths Twist Question. In this Brain Cracking Maths Question, you are given few number equations. Your challenge is to find out how the numbers on the left side of the equation equates to the numbers on the right side of the equation. This Mind Cracking Question is going to test your Maths as well as Logical Reasoning skills. Lets see if you can solve this Maths Twist Question? Can you solve Maths Twist Question? Answer of this "Maths Twist Question for Adults", can be viewed by clicking on button. Please do give your best try before looking at the answer.